NVDIMM P Memory Model provides an smart way to verify the NVDIMM P component of a SOC or a ASIC. The SmartDV's NVDIMM P memory model is fully compliant with standard NVDIMM P Specification and provides the following features. Better than Denali Memory Models. Supports NVDIMM P memory devices from all leading vendors. Supports 100% of NVDIMM P protocol standard NVDIMM P specifications. Supports all the NVDIMM P commands as per the specs. Supports Extend Command sets . Supports Non-deterministic Read/Write latency support. 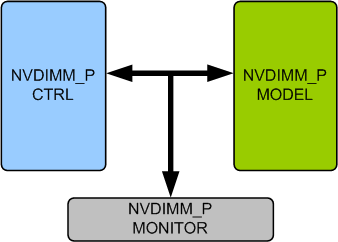 Constantly monitors NVDIMM P behavior during simulation. Protocol checker fully compliant with NVDIMM P Specification. Faster testbench development and more complete verification of NVDIMM P designs. SmartDV's NVDIMM P Verification env contains following. Complete regression suite containing all the NVDIMM P testcases.